Dr. Brian Hyett received his undergraduate degree from Cornell University and his degree in Medicine from the University of Massachusetts Medical School. His internship and residency were completed at the Beth Israel Deaconess Medical Center in Boston, MA. Dr. Hyett completed his fellowship in Gastroenterology at Brigham and Women’s Hospital/Harvard Medical School. He is board certified in Internal Medicine and Gastroenterology. 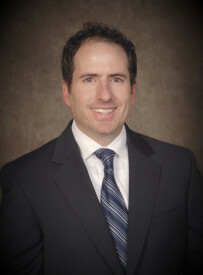 Dr. Hyett joined Atlantic Digestive Specialists in 2011. Dr. Hyett taught GI pathophysiology at Harvard Medical School prior to and after joining the practice. He has an interest in Inflammatory Bowel Disease and is actively involved in the Crohn’s Colitis Foundation.